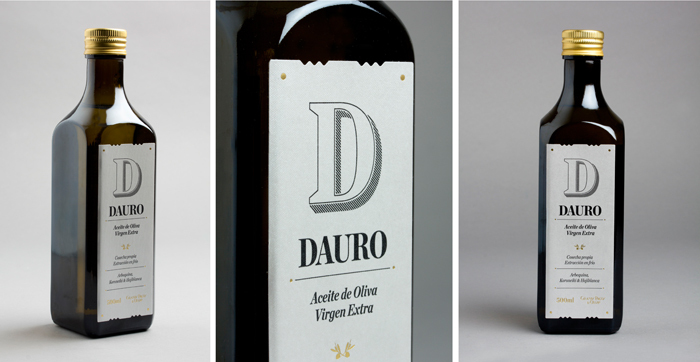 This project for DAURO, an olive oil brand, was carried out with Lo Siento Studio from Barcelona. It consisted of the design of some D capital letters for the labels on the oil bottles, and a custom typeface family for the company communication. The starting point was to explore different graphic ways to represent a thistle, the symbol of the company, together with an engraved capital D. My research began by compiling documentation of Fascia lettering, XIX century engravings and photos of thistles. Once the D was designed and applied to the label, I accurately explained to Borja, the art director, the design process: from the original typeface in use, I designed an ‘Outline’ version, then ‘Lingotillo’ (Little gold bar) and finally ‘Grabado’ (Engraved). 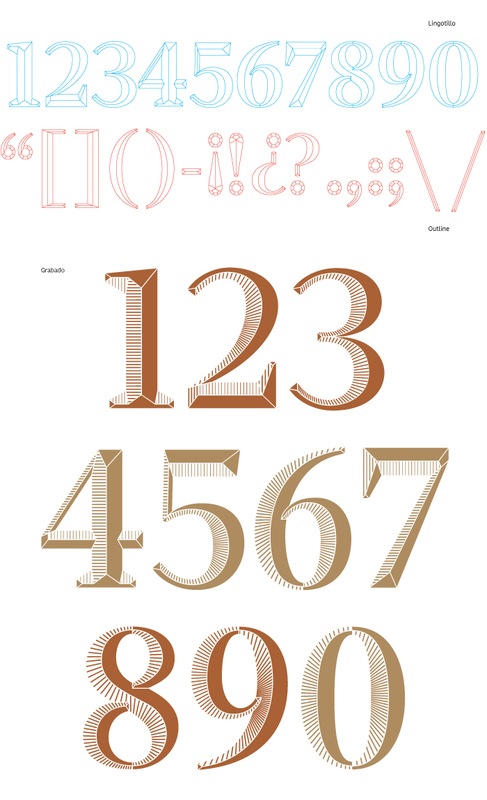 Borja fell in love with the ‘outline’ and ‘lingotillo’ previous step alphabets and we soon discovered the full potential that it had. 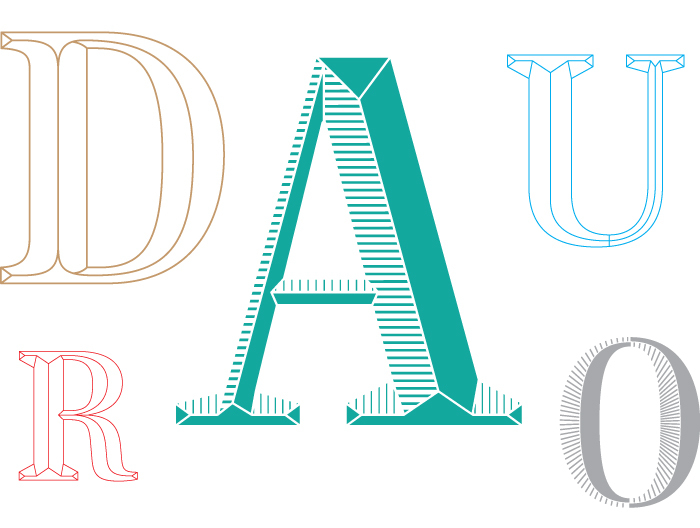 What if instead of just a letter, the engraved version of the D could become a complete alphabet? 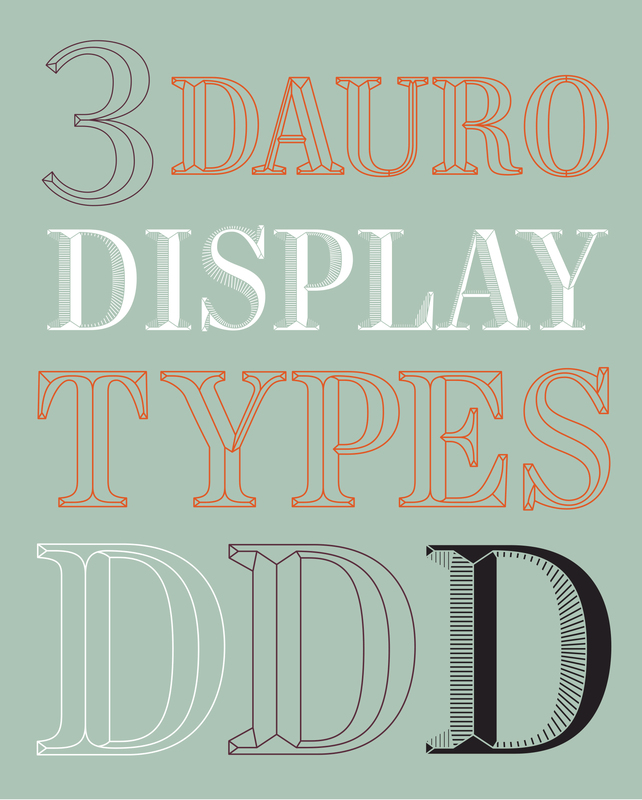 And this is how the project became three typefaces that can work together as a system. Once the letters were done, I went a bit further and designed the numbers and punctuation marks for the three alphabets.